The Marché Edgar Quinet is in a neighborhood I rarely visit, as exiting the Montparnasse (or Montparnasty as I will henceforth refer to it in casual conversation) metro station is such an unpleasant experience that I'd rather avoid it altogether. On the day I decided to check out the Marché Edgar Quinet (open Wednesdays and Saturdays from 7h-14h30) I sucked it up and took the line 13 directly to the dreaded station (you can also take line 6 to Edgar Quinet to got the market). 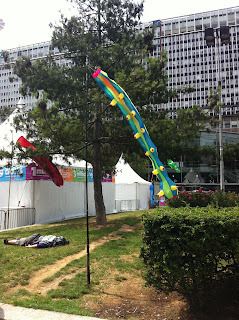 As I crossed the place de Montparnasse, I had to dodge low-flying kites that the organizers of that day's blood drive thought would be a good idea to fly in an 8 meter squared space- maybe a tactic to draw more blood? I continued on my way and passed what seemed to be a dead person laying face down on cigarette butts and scattered grass. I immediately picked up speed and darted towards the rue de depart welcoming my departure from this danger zone. I wondered how Hemingway could've spent time in this neighborhood- a lot of time if my literary memory serves me correctly- but then remembered that he'd made this 'hood his hangout before the eye-sore monolith of the tour Montparnasse and its surrounding seedy nightclubs were constructed. I forgave Hemingway and forged on further into the 14th. Things do get better the further you get from the tour, with theaters, jazz clubs, and cafés on street corners. I could see grabbing a verre here, in fact I did, and wrote about it in a former blogger life. But my mission for the day was not hunting terrasses but rather exploring the marché. 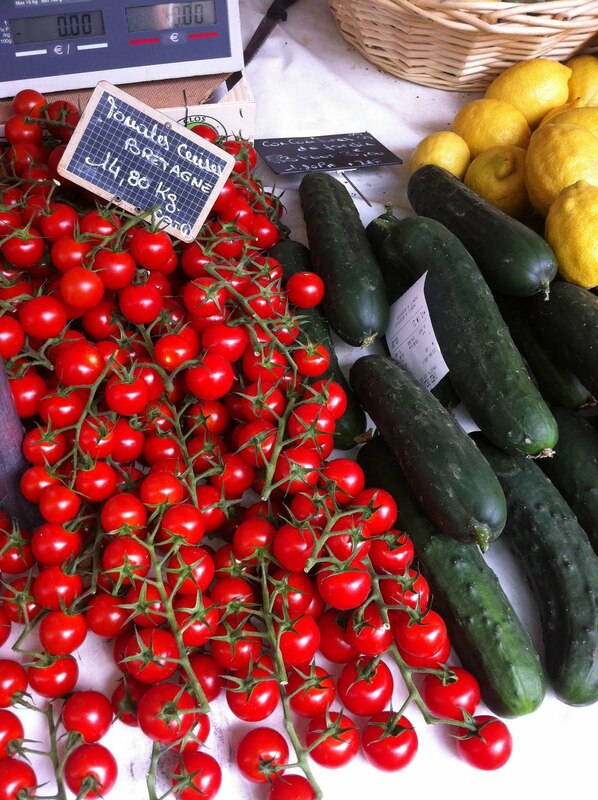 I had heard the Marché Edgar Quinet described as an organic market but it's more of a game of hide-and-go-seek with maraîchers and produceteurs en direct. 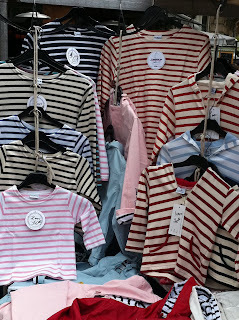 The market is full of bargain shoe sellers, cheap clothing hawkers, and sailor striped t-shirts (Montparnasse train station is the portal to Brittany and the neighborhood is a great spot to eat crêpes and try chouchen). However, hidden amongst them are vendors who source local fish, fruit, and vegetables. 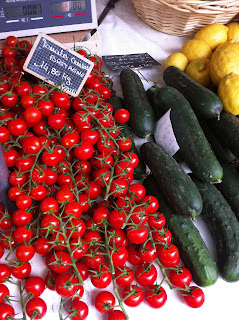 I perused and picked up some cherry tomatoes from Brittany and lettuce and green bell peppers from a local producteur. For under 6 euro I was almost fully stocked for the night's pizza party and my spirits had lifted not unlike the kite that had almost lodged itself in my head only minutes earlier. As I neared the end of the market, I saw a particularly interesting vendor packing up her stand (I think this market is much more lively on Saturdays), and I went to check it out. The stand was an outpost for for Planteur des Villes, a vender that proposes organic plants and planters for city dwellers looking to cultivate the balconies or window boxes. For those of you who would rather buy than DIY; Planteur des Villes offers solutions for small spaces, stocking a variety of planter boxes ranging from 38-98 euro. They also sell plants suitable to small growing spaces such as strawberries, tomatoes, herbs, and edible flowers. Seeing Planteur des Villes stationed at marché Quinet confirmed two things for me 1) the Parisian get-your-hands-dirty movement is growing, and sprouting up all over the city and 2) it is worth visiting every and all markets that you cross, you never know what you might find. With a little bit of exploring you can find the local producers and activists that deserve your support. And you'll end up with a bag full of good food to bring home. A win-win no matter what it takes to get there.